I’m blessed to have wonderful parents who are sharp, active and involved in life. As octogenarians (and all the years before that), they’ve been truly inspirational! 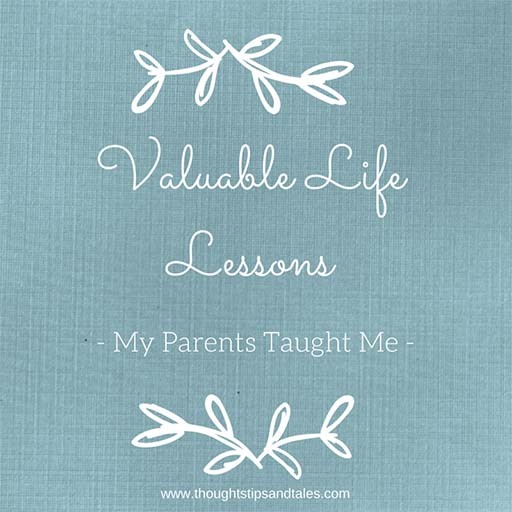 The lessons my parents taught me through words and actions were right on the mark — and I’ve tried to pass their wisdom along to my son, too. 1) Get a good education. 2) Participate in and be interested in the things around you. 3) Exercise and stay active. 4) Be curious about everything. 5) Show love in lots of little ways. Ask your children what time an important event will happen (so you can think about them then), call to inquire after medical appointments or special activities to see how they went, pray for them. 7) Don’t whine and complain about your ailments. 8) Don’t go to extremes; in general, use moderation. 9) Live within your means and save money whenever possible. This entry was posted in advice, family, lessons, life lessons, parents and tagged lessons, life lessons, parents. Bookmark the permalink. All great advice for sure! You are blessed to have your parent with you. I think that is the one thing I miss most..is not having them around. I adored my MIL too…she was the best anyone could hope for. Thank for the sage reminder of their wisdom!